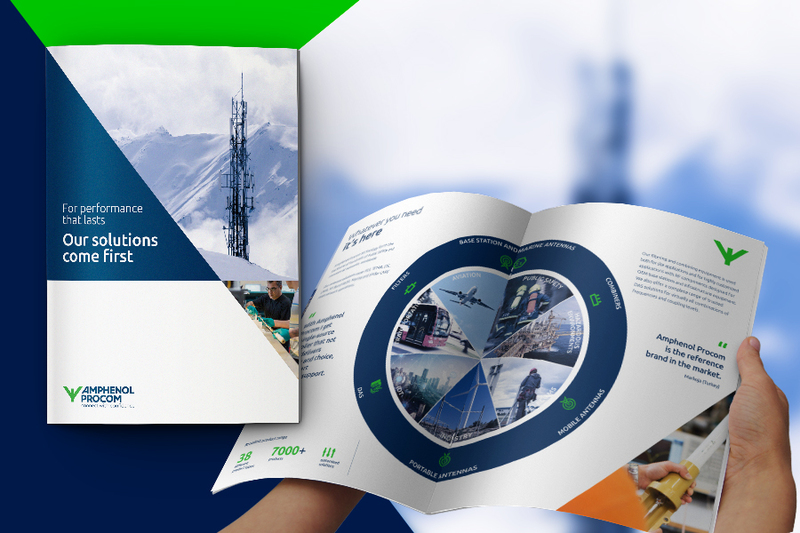 Reliable communications solutions are mission critical across the aviation, transportation, public safety and telecom industries. 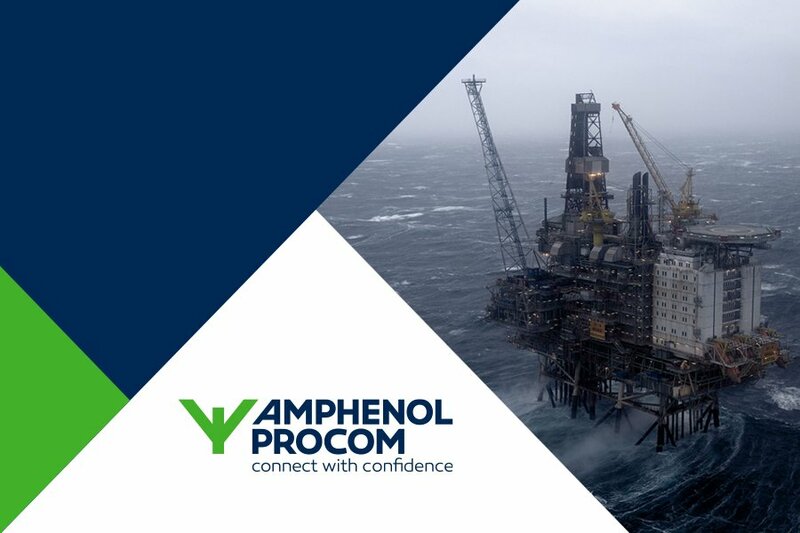 Amphenol Procom forms the backbone of communications for public services and commercial sectors, with an unrivalled depth of expertise, a comprehensive portfolio of products, and a trusted legacy for performance and reliability. The company is a division of Amphenol, a $8-billion dollar manufacturer of interconnect solutions. The business consisted of four individually strong brands, but the brand architecture was causing confusion in the market and internally. 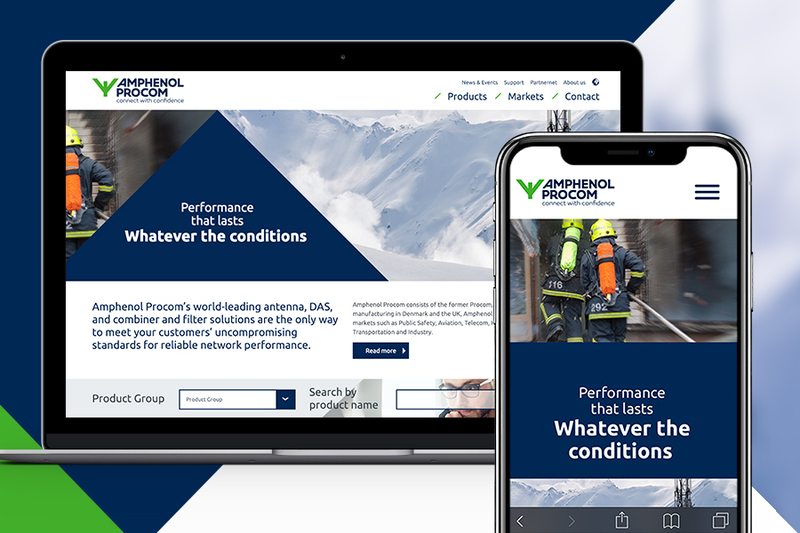 To support the company’s ambitious growth targets, Amphenol Procom recognised the need for a new brand identity that could unite the organisation internally and help differentiate and position the business as a whole in the market. “By consolidating our brands into one, we are making it much clearer to the market who we are, which has helped us in our integration process internally and effectively supported our growth in the market. CBC has been a valuable support in our journey.” Mette Brink, CEO of Amphenol Procom. CBC developed the concept as an integrated marketing resource at every stage. The development and implementation process included a complete new corporate visual identity with print and online design for brand and marketing communication. CBC also acted as a strategic advisor on the internal and external implementation and completed a broad range of brand activation activities. 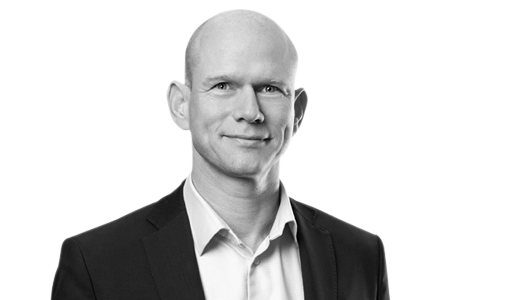 If you think your B2B brand should be providing stronger support for your global ambitions, contact Ralph Krøyer at rk@cbc.dk or on +45 35 25 01 60. Lactosan is one of the world’s leading providers of cheese powder solutions. Having been first to invent cheese powder, the company now works with a broad range of food producers who use their cheese powders for many different applications ranging from pasta to pet food. With orders outpacing capacity, Lactosan started to invest in developing production capabilities to ensure the business would be well placed to meet the needs of an expanding customer base. 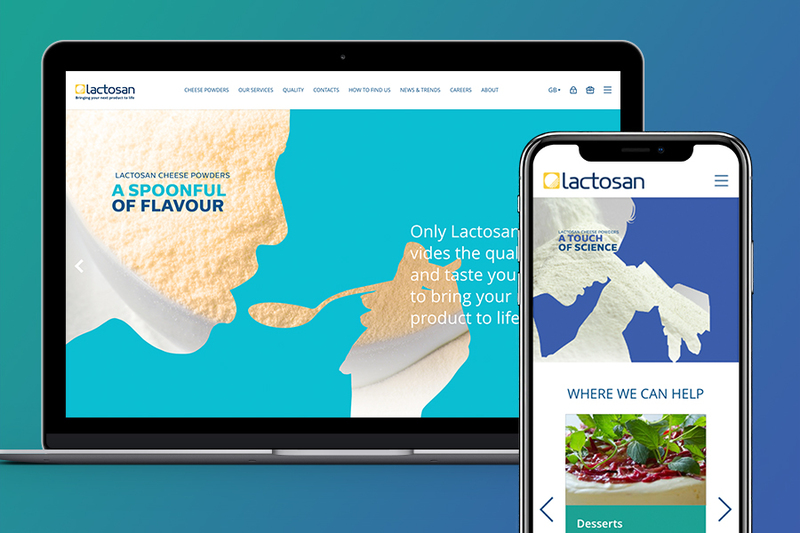 As crucial support for this growth plan, Lactosan also recognised the importance of keeping its brand relevant if it was to retain its leading position in new and existing markets. 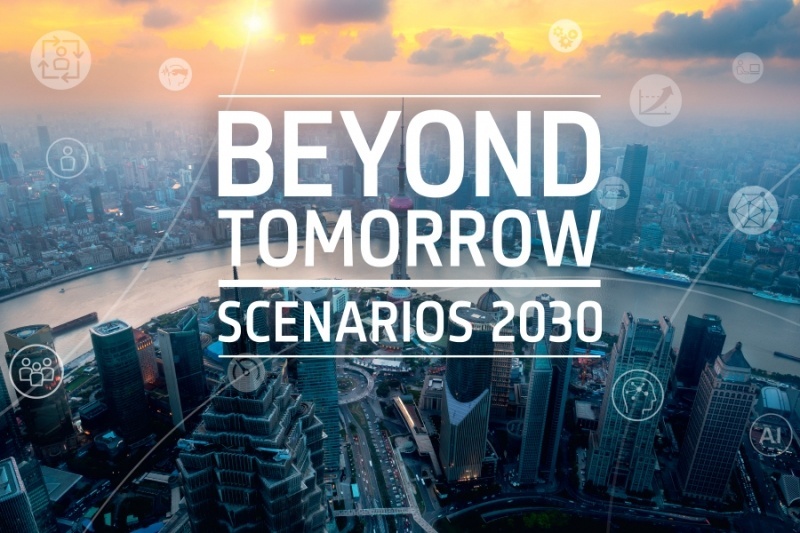 To achieve this, Lactosan needed to get closer to the customer through a brand platform that communicated a clearer proposition and that connected more powerfully with their customers’ world. With experience working with corporations across the global food production industry, CBC was brought in to help bring this exciting project to life. CBC initially conducted qualitative customer research to gain clearer insight into their needs and to identify the areas in which Lactosan provides the most value. 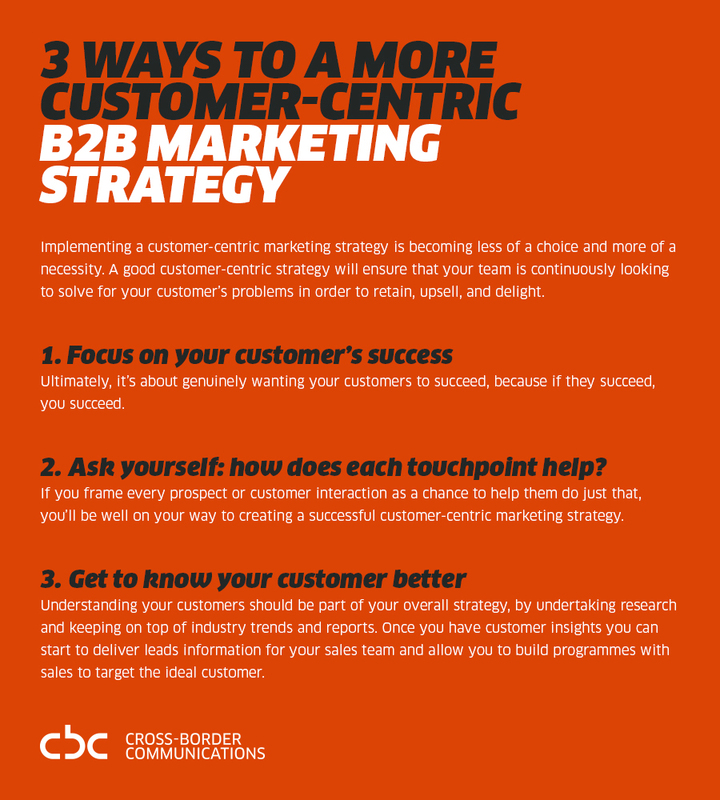 From this, CBC identified the key value proposition and messages that would be most effective across different segments, and that became the foundation for a creative campaign under the theme “Bringing your product to life”. Creatively, the theme was visualised in a way that gave Lactosan a unique look and a powerful position to own. 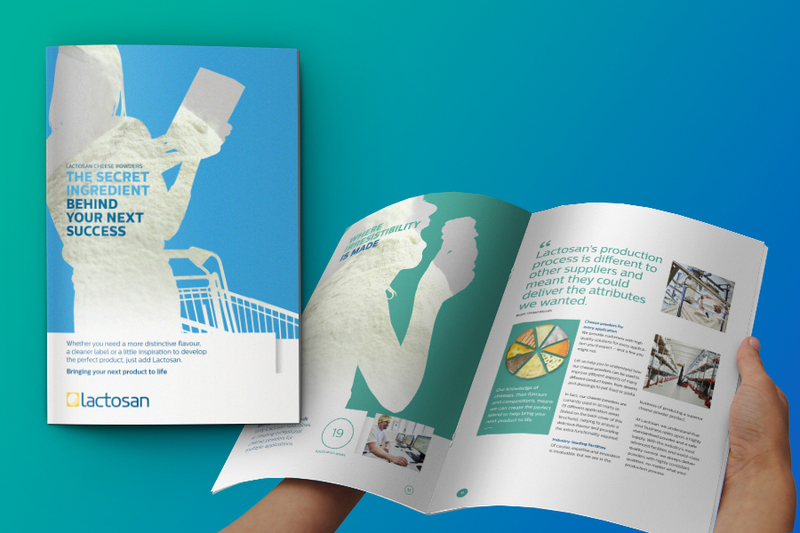 The campaign brought Lactosan’s strengths into play and differentiated it clearly from competitors, but kept all messaging clearly focused on customer needs. 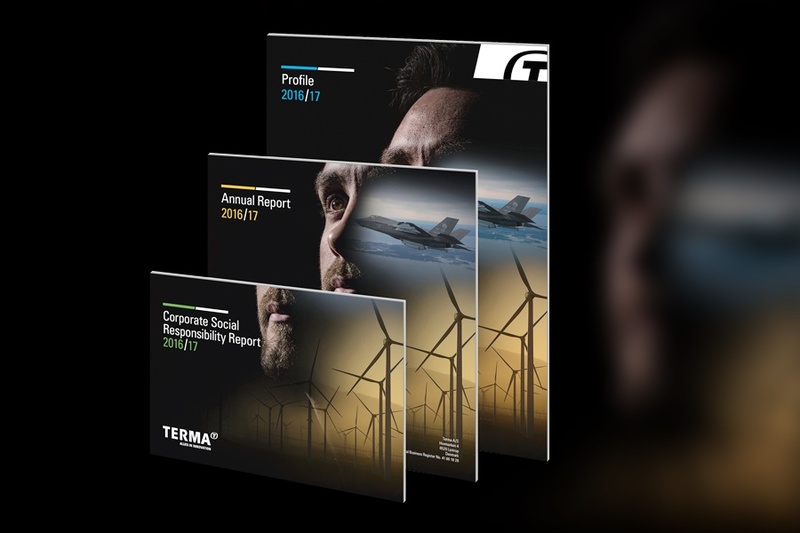 This was then developed across a selection of targeted channels, integrating both on- and off-line activities to ensure desired impact, including a new website, corporate brochure, advertising and sales presentations. Many B2B companies still rely on communications that focus on their own achievements, rather than their customers’ needs. If you feel that your business would benefit from a value proposition and brand identity that was finely tuned to be more customer-centric, maybe we can help. 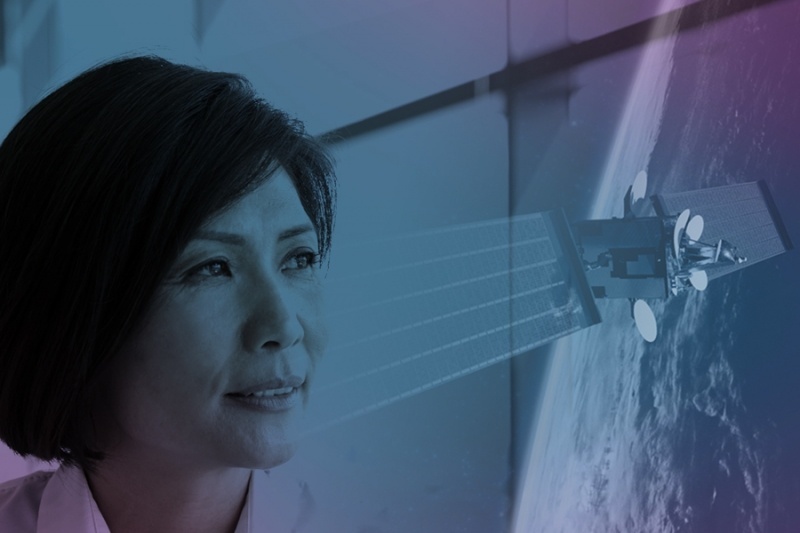 Contact Ralph Krøyer at rk@cbc.dk or on +45 35 25 01 60 to start exploring your options. Brüel & Kjær is the world’s largest supplier of advanced technology for measuring and managing the quality of sound and vibration. In 2013, CBC relaunched Brüel & Kjær’s magazine Waves, and worked with them to support and strengthen their brand position as the experts in sound and vibration over the following five years, adding a special focus on the early stages of the buyer journey. The concept was to engage both commercial and technical decision-makers, bringing their perspectives and reasons to buy together, and cover innovative and ground-breaking stories within the realm of sound and vibration. 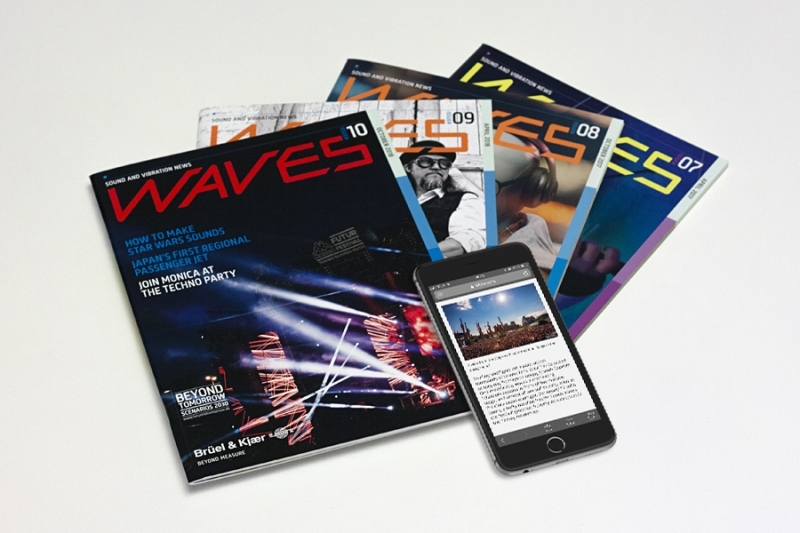 Waves was redeveloped as an on and offline magazine, covering all areas of the industry from car design, urban noise limits and mining noise to developments in space shuttle technology and modes of monitoring whale songs. 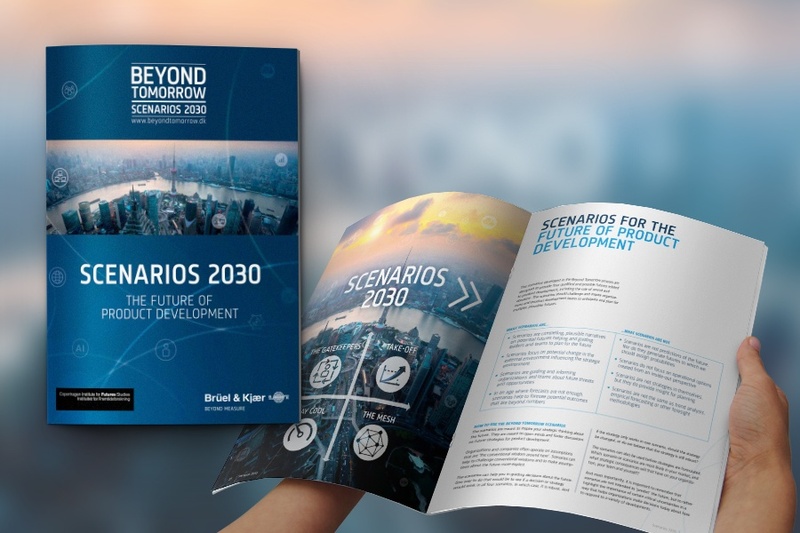 To create the direction and lead the content strategy, CBC ran an editorial strategy workshop and used a web survey to understand the needs of the brand, how it is perceived and see where opportunities lay. The newly-redesigned magazine includes case studies from clients and partners, technical innovation stories, pieces on broad industry themes, and a little humour as well, and further developed the digital version of the magazine on to create a stronger online presence. The results have been highly positive. The new design and strategy grew the subscriber list by 240%, with an e-newsletter seeing typical open rates of 21.58% and click rates at 5.5%, 72% higher than industry average. The e-newsletter is sent to 53.070 subscribers and has an open rate of 21,58%, with a typical click rate of 5,49%. It is also sent out in print to 4.974 customers. Explore Brüel & Kjær’s magazine or see more of CBC’s work. Over six years of partnership, CBC has watched Copenhagen Airport (CPH) go from success to success. 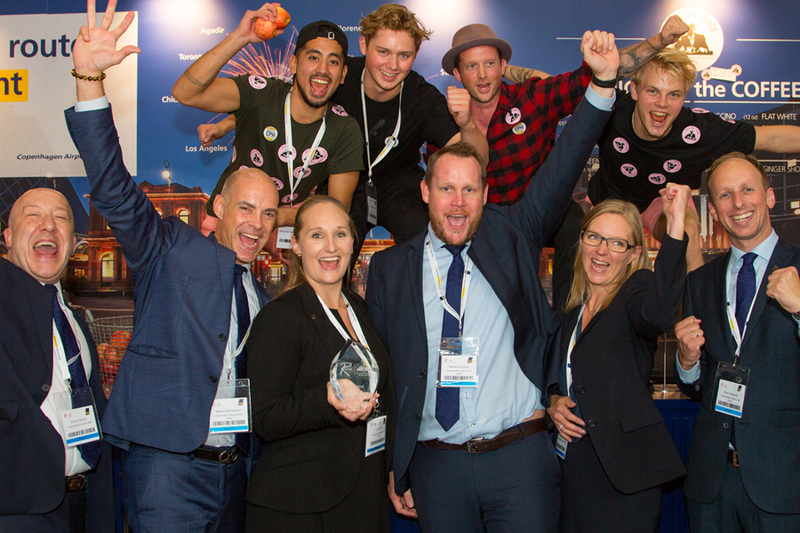 This time we helped CPH win “best stand” at World Routes 2018 for the second year running – a major achievement against stands from some of the biggest competitors worldwide. 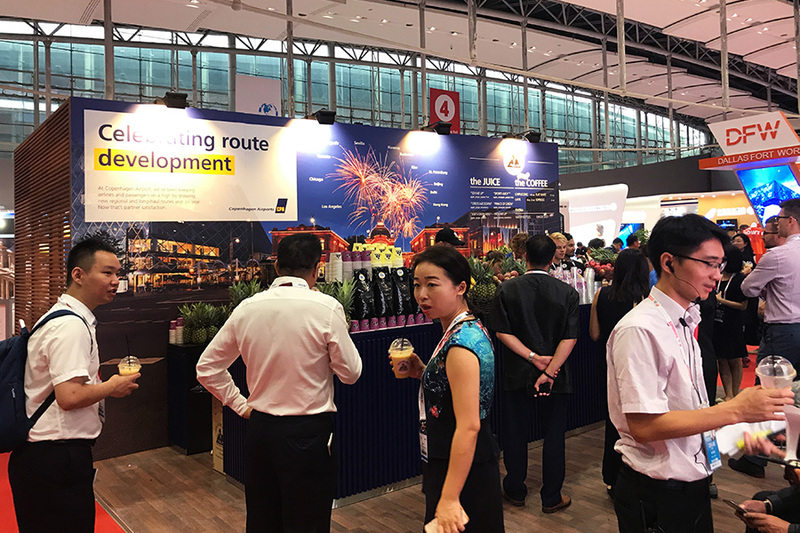 World Routes is a key trade event for airports and other businesses in the aviation industry, with over 3000 delegates from airports and airlines across 110 countries. It is the most effective place for airline sales to show what the CPH stands for as an airport, and what potential it offers for new route development. It is crucial that CPH’s stand attracts the right level of attention and leaves a lasting impression. 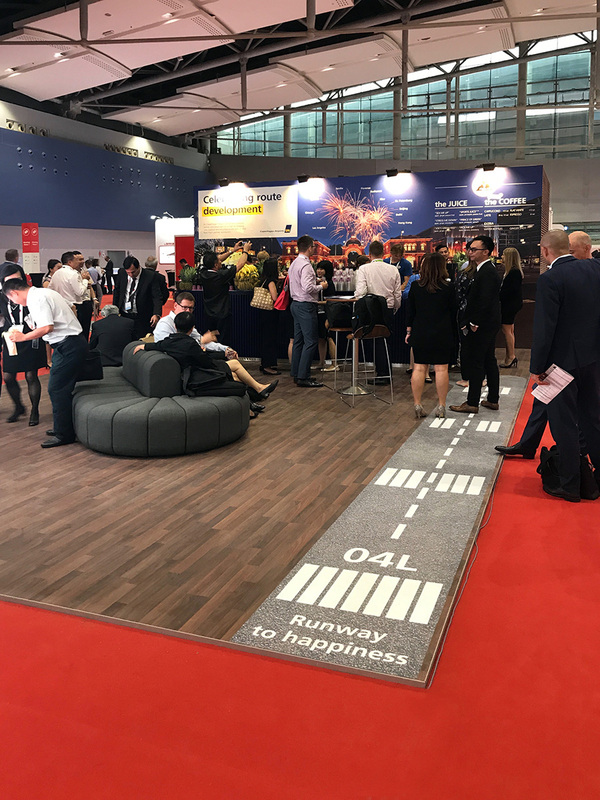 Personal relationships play a pivotal role in the aviation industry, so a stand that conveys professionalism, efficiency and quality while anchoring key messages in delegates’ minds can make a vital difference to the outcome. If you are looking to make the right impact at your next trade show to engage your customers and generate leads, let’s talk. Since 1914, Plus Pack has been providing the food industry with innovative packing solutions. Having worked with CBC in the past to develop a strong online presence, Plus Pack now turned to CBC to communicate their new brand promise, “We make food stand out”, in the most impactful way possible. 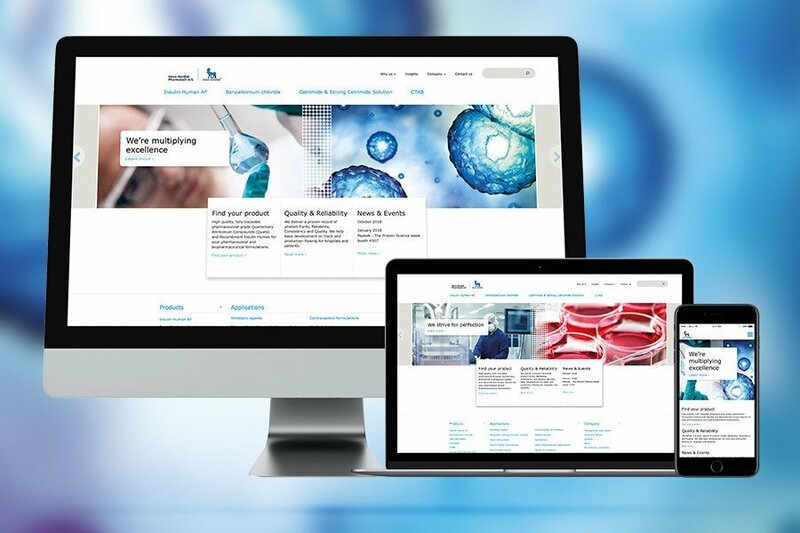 In addition to developing a new creative communications concept that reflected Plus Pack’s commercial value and commitment to the food industry, a priority project was the design and development of a new website. The goal was to increase online lead generation by 100%. CBC worked closely alongside Plus Pack’s Marketing Manager, Maria Møllegård Schmidt, and Director of Business Development & Marketing, Camilla Haustrup Hermansen, to ensure the new Plus Pack website effectively supports the B2B customer journey, offers an engaging user experience, and conveys a clear proposition to the food market. All with focus on optimizing the online conversion of the inbound activities. 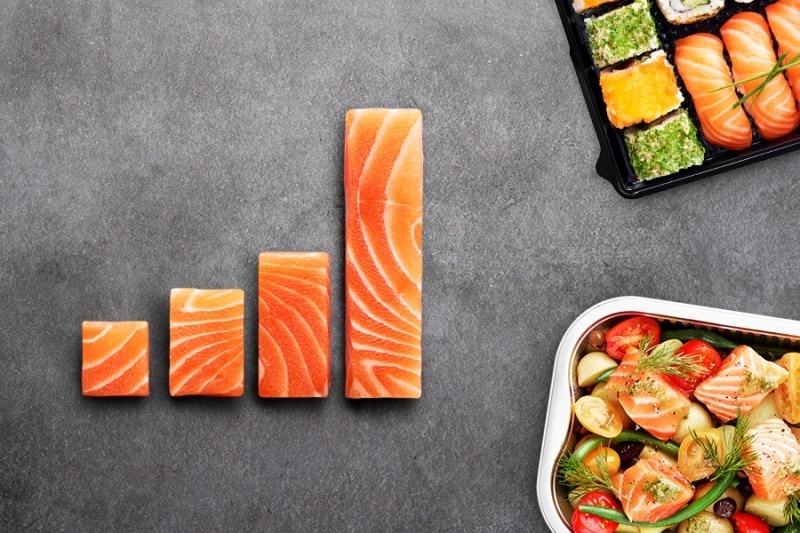 The concept “We make food stand out” was brought to life through a series of impactful visuals that highlighted how Plus Pack enables producers to present products most appealingly on supermarket shelves and deliver on their commercial and operational objectives. It’s not just about what you say – it’s also about how you say it. CBC’s unique visual concept was used across the Plus Pack website and in all other marketing channels to build a consistent brand impression in all customer touchpoints. The update included a redesign of the brand identity including font and colours to help bring greater impact to all communications. Explore Plus Pack’s website or CBC’s other digital Work.